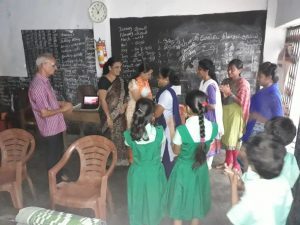 Acknowledging the importance of education in a child’s life, Deepam has been extending financial assistance to selected meritorious students every year since 2012, to meet their study-related expenses.The students are selected based on mark-sheets produced by them and their economic background. 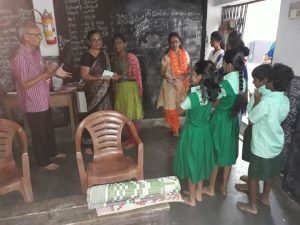 On 11th August 2018, Deepam scholarships were distributed to 8 ex-Deepam students. An amount of Rs.1000 was given to 6 students (presently in std 6-12) , while two girls (V. Aanathi and R. Bhuvaneshwari) now in college were given Rs.2000 each. V. Aananthi and R. Bhuvaneshwari were part of the second batch of Deepam in West Mambalam Centre. Aananthi’s journey is one of strong determination and hardwork. 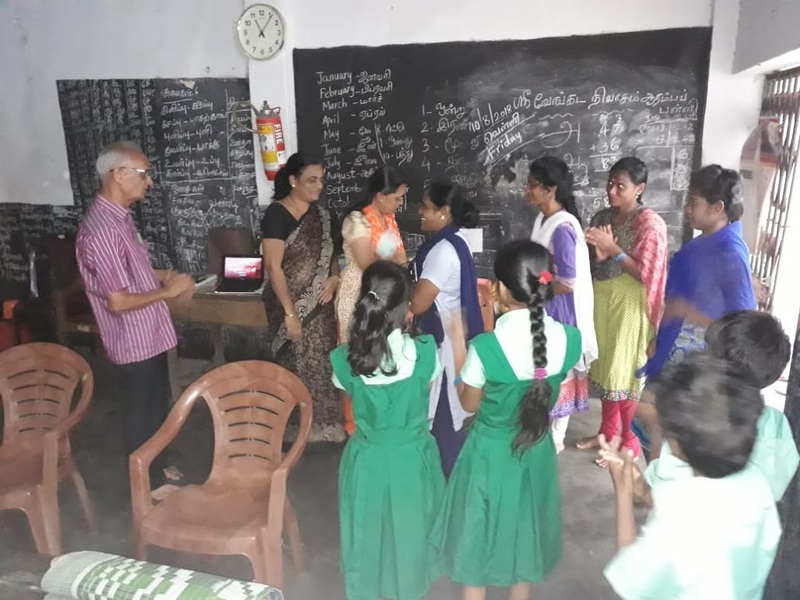 She appeared for her Class 10 examinations while shouldering the responsibilities of household chores and also taking care of an ill mother. That did not stop her from scoring a 95% in her class 10 exams. A hardworking and studious girl, she scored a centum in accountancy in her class 12 board exams. She managed these feats without tuitions as she couldn’t afford it. She has a keen interest to learn new words. 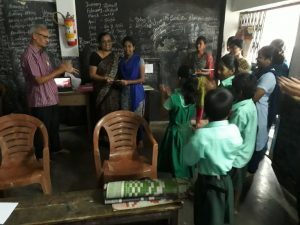 When she was a student at Deepam classes, she used to note down new words and look them up in an English-Tamil dictionary. 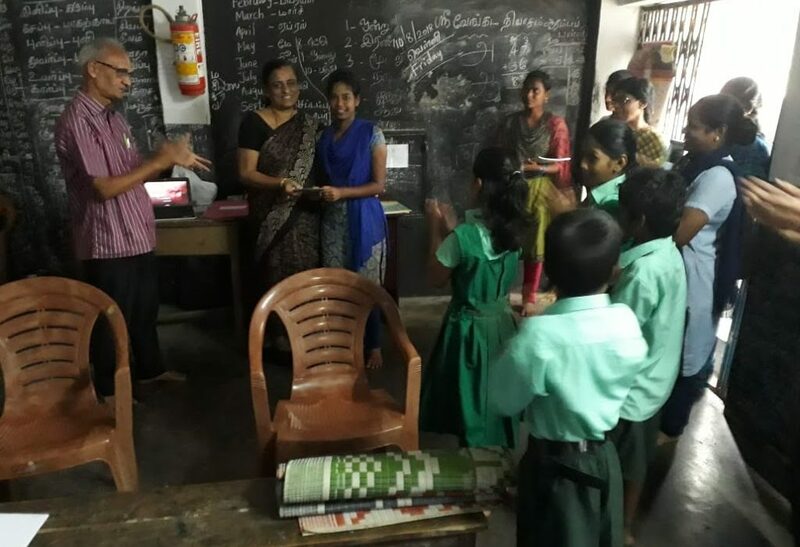 She has been awarded scholarship every year since Deepam Scholarship Program was started in its West Mambalam Centre. Bhuvaneshwari did her schooling in Tamil medium. Her mother worked hard to ensure that both her children got good education. She performed well consistently throughout school years. On the advice of a teacher, she shifted to English medium in class 11. Such was her grit and determination that, not only did she pick up the new language but also was a top ranker. She was interviewed by TOI for being an outstanding student. Her keen interest in computers since childhood, led her to choose B.C.A in her under-graduate. Deepam is proud of their achievements and wishes them success in all their future endeavours.